Castleville Walkthrough Quests Guides, Reviews, Cheats and Tricks, Tips, Videos and News. All the game information in such an easy way to read! 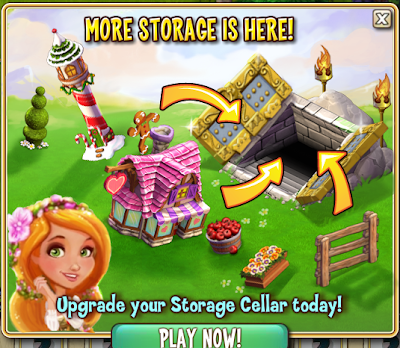 After the level 5 that allows to store 500 items, the level 6 has been released and now you can store one thousand items. 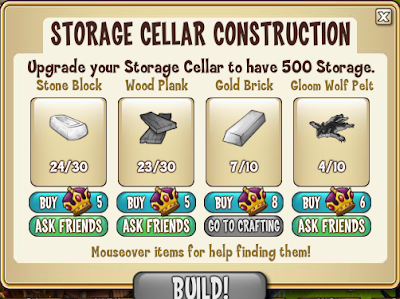 For this upgrade, you will need 40 Stone Blocks, 18 Gold Bricks, 4 Anvils and 12 Gloom Wolf Pelt. For the Storage Cellar Guide CLICK HERE. Castleville: Charity - Save Children! Castleville: Coming Soon! Baby Dragons! 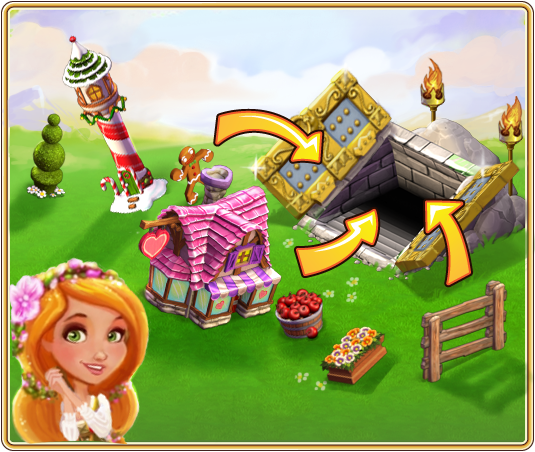 Castleville Crafting Energy Items: Which one to choose?